The name of Jeanne Hébuterne is inseparable from that of Amedeo Modigliani, and the surprising and sad truth is that it was her death rather than life that tied them together forever. 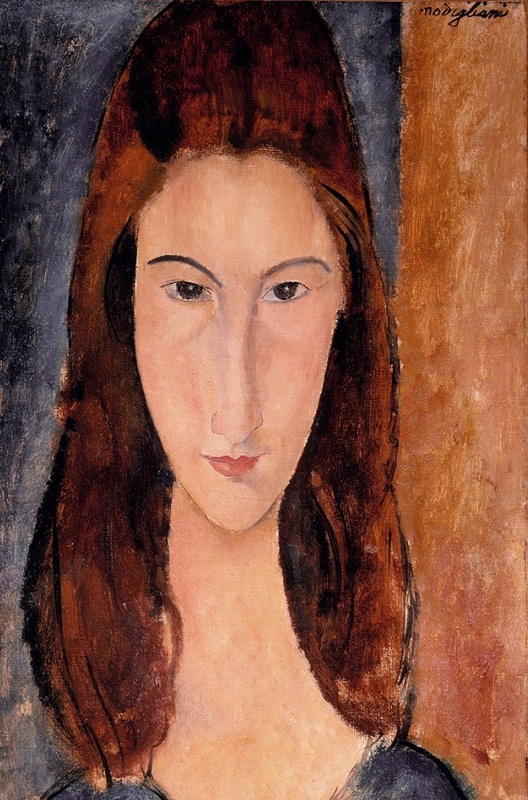 It is common knowledge that she committed suicide the day after Modigliani's death and was buried in the same grave. She didn't live to see her 22nd birthday. 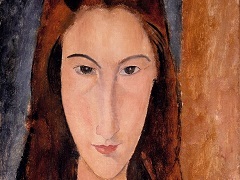 In the history of art she is accorded the honorable role of the last but not the least influential muse of Modigliani. Popular literature and cinema repeatedly used her image to give their own view of the life story of the great artist, picturing her as a young girl devoted to her husband. This looks somewhat banal: why not her predecessor Simone Thiroux, who had given birth to Modigliani's son whom he had refused to recognize? She was also young, fresh and in love with him, if only, perhaps, not so devoted. When Modigliani met Jeanne and started to go out with her, all his friends and the entire bohemian milieu recognized her as wife rather than another girlfriend. Before meeting him Jeanette (as everybody called her) did not belong to the bohemians, although she was known as a young artist and Académie Colarossi student. It was there that they met - Modi also visited the académie to paint sitters for free. Sculptor Hannah Orlova, their common friend, helped them come to know each other. They met in the spring of 1917, when Jeanne was 19. She had a beautiful figure, looking like an amphora, and her swinging gait in heelless shoes resembled the movement of seaweeds. She had an extraordinary pale complexion, the face framed with a mane of gorgeous auburn hair, braided or forming rosettes at the temples that looked like sunflowers. Before giving birth to her daughter in 1919, Jeanne kept changing the way she looked by experimenting with hairdos. She was taciturn, even melancholy, and in some respects very much like her mother. Contemporaries recalled that her gaze was grave and introverted. 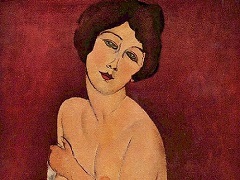 She was indeed selflessly in love with Modigliani, but failed to make him drop alcohol and drugs. Nor could anything be done about his chronic TB, which eventually claimed his life. She was his guardian angel, muse and the subject of most of his canvases and drawings. 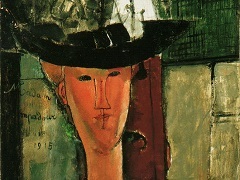 Neither before meeting Modigliani nor after they started living together did Jeanne sit for anyone else.